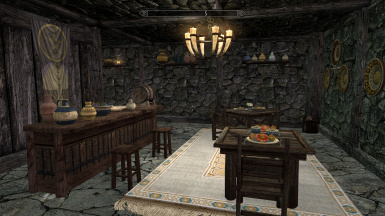 Crafting Center provides merchant, linked containers, a bath, all crafting and a private room area in each of the five inns. 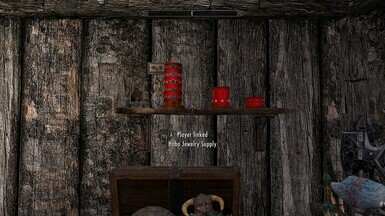 Hobo linked containers will also connect to my dependent home models in other locations. Alvis Cottage Dependent This is a master file for Alvis cottage. Must be loaded before this mod. 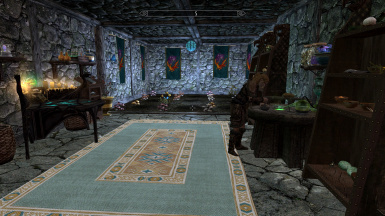 Lakeside Riften Manor Dependent This is a master file for this mod. 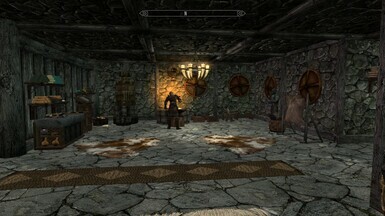 Whiterun Home 4_5 Dependent This is a master for for Whiterun dependent. 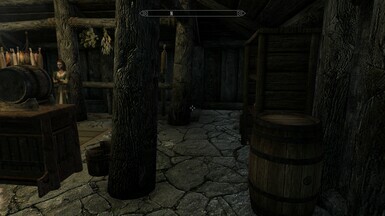 Windhelm_Divayth Cottage Dependent This is a master file for Windhelm_Divayth Cottage Dependent. 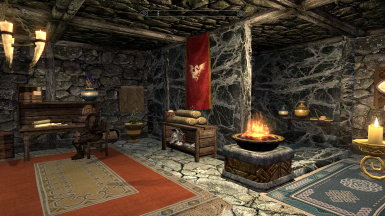 Winterhold College Hideout Dependent This is a master file for Winterhold College Hideout. Must be loaded before this mod. Credit: Modder's Resources used:Tutorial by "subtanker" on how to make npcs go skinny-dipping, Player unequip-script by Cuchullain and JaKhajay, Creation kit wiki UnequipItem Actor. Custom meshes from: Tuedragonborn, SpinaDe Mul, Jet 4571, Lolikyonyu, and Blary, Custom mesh and textures from Elianora's Extra Resources, berticus0001 and Insanity Sorrow. Jet 4571 and Gutmaw bed template. Minor change: Change texture of fork and knife back to original because of a mod texture conflict with another mod. 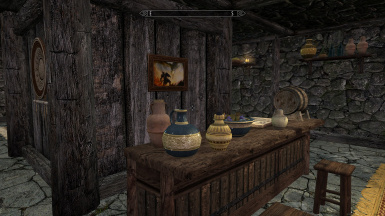 My pottery 1 and pottery 2 modifications are safe with new meshes and new textures. Technically 3.0. No changes to esp. This changes the meshes for my glazed pottery. Originally I used in-game pottery meshes which were low poly. This adds higher poly meshes which gives a less blocky look to the glazed pottery I added. 1. 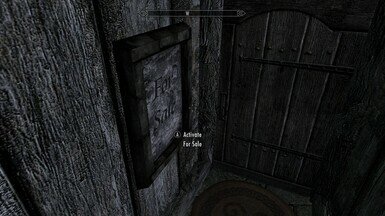 Adds a general merchant in towns where there is no general merchant. 2. 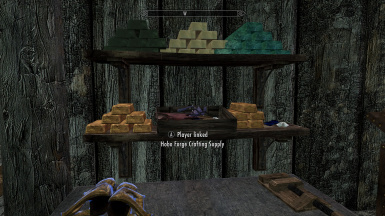 Adds all crafting in towns where crafting is limited. 3. Adds Hobo containers for easy access and drop off of your stuff. 4. Membership makes it easy to sleep there without paying rent everyday. 5. 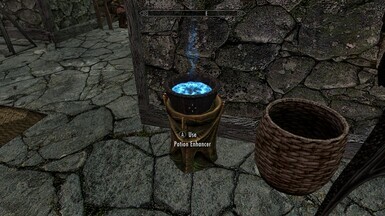 My other home mods can connect to it, but this mod is a stand alone. 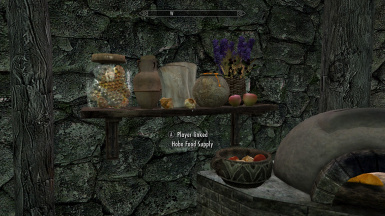 Each Hobo Crafting Center provides a place to sleep, a garden, a merchant, a bath and non respawning Hobo linked containers. Hobo linked containers connect with other Hobo linked containers . 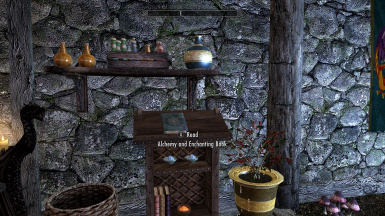 Player needs to buy membership or pick an expert lock to get inside each Hobo crafting Center.The respawn time in the Hobo crafting centers is the standard period same as Winterhold Cottage so don't use barrels for storage. 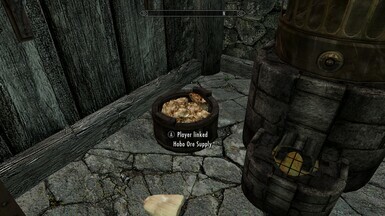 Players have plenty assigned Hobo non-respawnable linked containers. 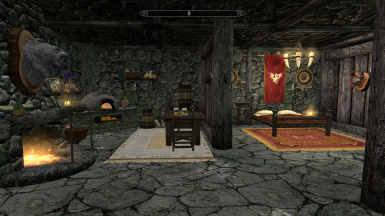 Compatibility: This mod may not be compatible with mods that change the interior of the Inns listed above. If a mod changes the navmesh inside the Inns above, it will not be compatible with this mod. 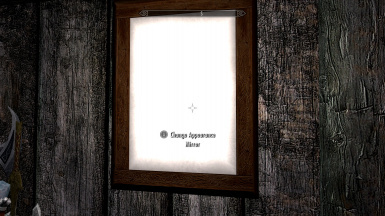 If the change is minor, I may add in a patch. This file is an esp that acts like an esm. 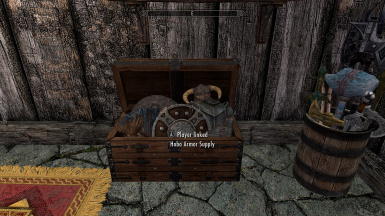 It will be a master file for my Dependent home mods so that players will have hobo linked chest in my player homes. You don't have to take them. It is player's choice. 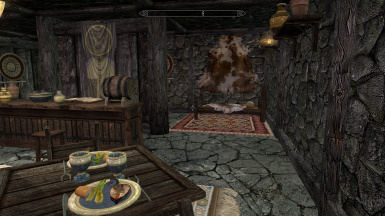 This mod is not compatible with Cloud Storage Master 2.0 and five dependent homes 2.0 https://www.nexusmods.com/skyrim/mods/edit/?step=details&id=92886&game_id=110, because it is a replacement for it.